A parent bird's job is never done! Flicky need your help! His Chirps are trapped in farm houses and they may soon become the lunch of roaming cats unless they are rescued ASAP! Control Flicky's movements across each house to pick up the lost Chirps and guide them to the exit. The more Chirps you save, the higher your score! But be careful of cats who are not willing to let their little snacks escape so easily! You can throw objects at cats to kick them out of the house, but they will return mere seconds later! How many Chirps can you rescue? Back in 2016, my good friend Mystery Man was busy with lots of personal stuff, and he mostly missed the Team Pixelboy budget games project altogether. In February 2017, he asked me if there was something he could do to help Óscar, given that he was still quite busy, and that whatever free time he had was mostly spent on perfecting Utopia. I suggested that he could port an SG-1000 game, and then allow me to take the money that he would normally receive for his work, and give it to Óscar. 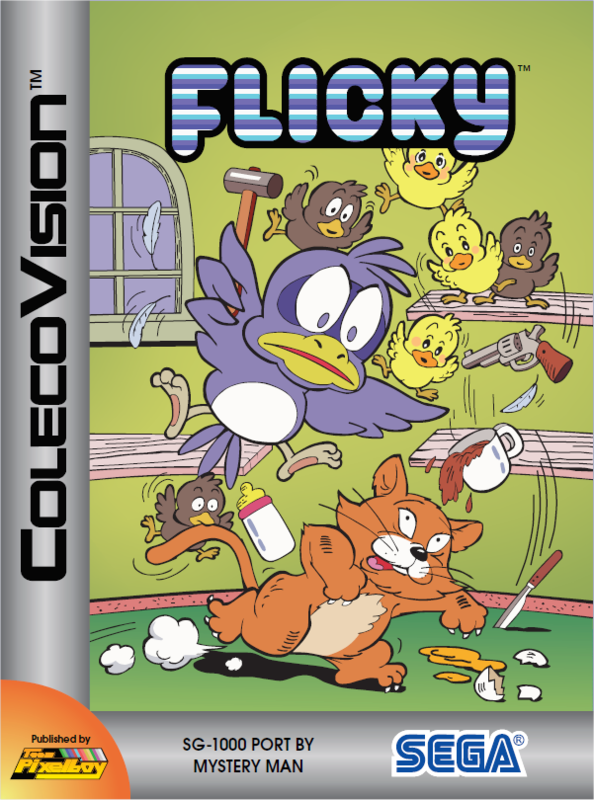 Mystery Man thought it was a good idea, and then spent a few days on porting the SG-1000 version of Flicky to ColecoVision. SPECIAL THANKS: Tobie St-Aubin, Albert Yarusso and all AtariAge forum members. 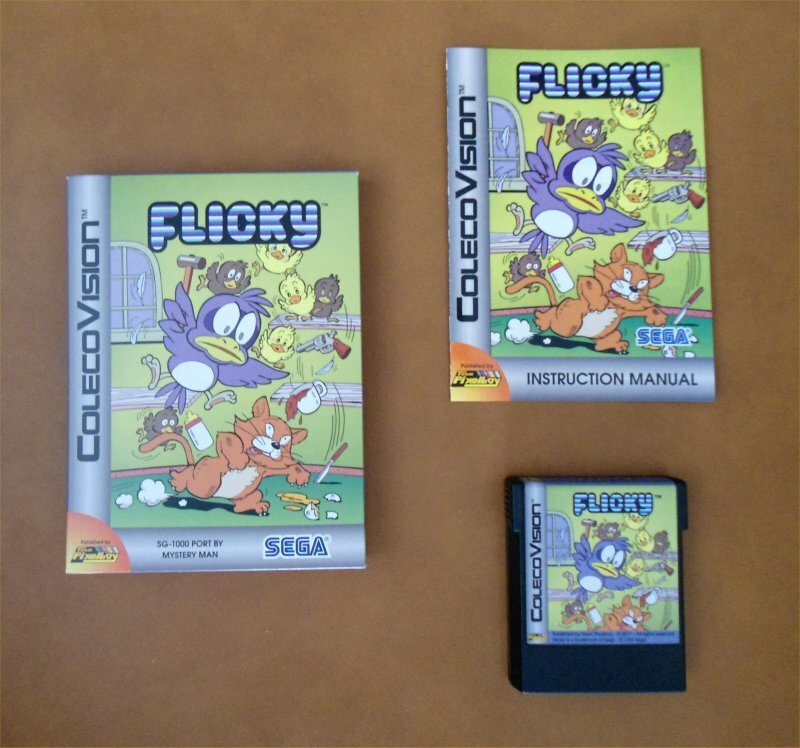 Here is a YouTube video of the SG-1000 version of Flicky. The ColecoVision version looks, sounds and plays the same as what you see below.